California is a place to dream big—an encouraging message spread through the state’s tourism department. The good news for Californians is that big dreams and hard work are not limited to ads featuring athletes and movie stars. Recent results from California’s annual student assessment in English language arts (ELA) and math are beginning to show promising results. When it comes to education, the big dream and hope is that one day all of California’s more than 3 million students will graduate from high school on a path to success. We still have a long way to go before we achieve this dream, but test score trends over the last few years are showing some encouraging progress—particularly for the state’s Hispanic students, who are making strides toward closing the achievement gap in elementary school. In fact—for some grade levels, the number of Hispanic students on grade level has risen by more than 10 percentage points over the last four years. In California, all students are taught the skills they need to succeed in today’s world based on California’s high standards. To understand how well they are mastering these skills they take the Smarter Balanced* assessment annually, which, among other things, allows educators to determine progress and proficiency for all students at each grade level. Earlier this year, students from third through eighth grade and 11th grade took the Smarter Balanced assessment. Students overall continued to make some gains across subgroups, with the number of students performing on grade level increasing more than 2 percentage points in ELA and just under 1.5 percentage points in math since last year. These gains are even stronger in elementary school for the students who have only known instruction under California’s higher standards. This is not a one-time occurrence. When we look at results over the past four years in grades 3 through 8, there has been a significant increase in the number of students performing at grade level since 2015—in both English language arts (ELA) and math—with an average increase of 6.7 percentage points in ELA and 5.7 percentage points in math. 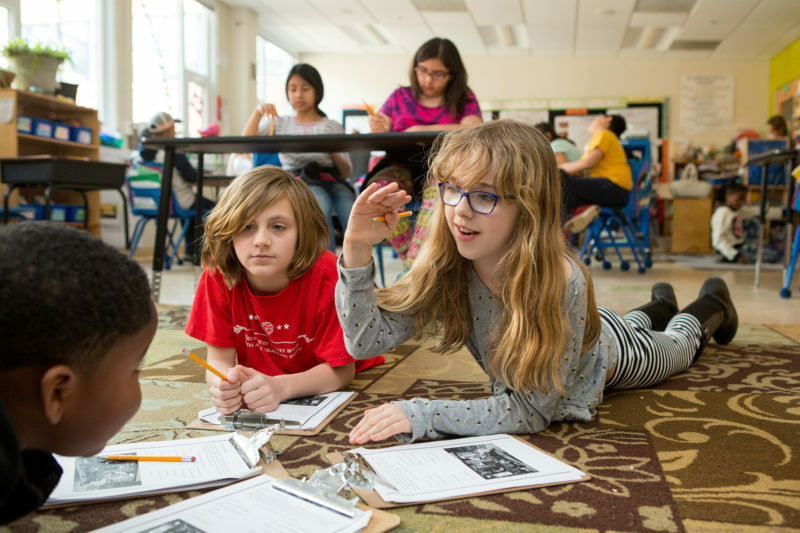 Encouragingly, these gains are reflected among traditionally underserved students and show progress in helping to close achievement gaps in early grades. California adopted the Common Core State Standards in 2010, raising the bar for all students so that they could be prepared for the rigor of college or the workplace. To further serve all students, California adopted English Language Development Standards in 2012, to align what English learners were learning with the state’s ELA standards to make sure English learners were also being held to a high bar. To support the implementation of the state’s new standards, California developed a purposeful implementation program to introduce their new standards to educators. By creating a locally focused funding model to provide districts with their needs for implementing the standards, investing in professional development and aligned materials, and developing curriculum frameworks to provide guidance, California laid the groundwork and prepared educators for sustained improvement for all students. There is much work ahead to support all students, but there is strong evidence in states across the country that high standards are proving effective, and that states can benefit from doubling-down on implementing higher standards with fidelity. The Collaborative will be spotlighting these states in the coming weeks to show how success is trending in states across the country. *Part of the broader package of assessments, the California Assessment of Student Performance and Progress (CAASPP).